Boric acid is commonly used around the house to solve various cleaning and pest control problems. Most commonly sold as a powder, boric acid easily dissolves in water to form a liquid spray. Boric acid is much less toxic that most commercial cleaners and can be used for pest control, cleaning, removing mildew and weed control. 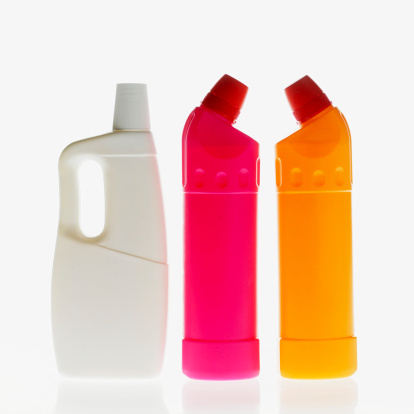 Try using boric acid sprays around the house rather than purchasing commercial products. Not only is boric acid less toxic and more environmentally friendly, it is often less expensive as well. Boil one quart of water on the stove. Pour the boiling water into the plastic bucket right away. Stir in one cup of powdered boric acid. Stir the mixture vigorously with a spoon to dissolve the powder. Fill an empty spray bottle with the boric acid and water mixture. Use a funnel for easy transfer and use caution so not to burn yourself. 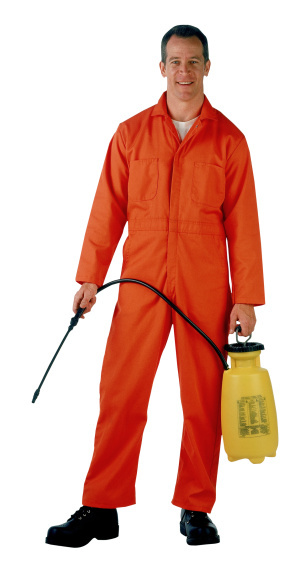 Spray the solution liberally in places where you have seen cockroaches. Target moist areas of the home with the spray as cockroaches prefer moist environments. Combine 1 tbsp. boric acid, 1 tsp. sugar and 4 oz. of water into an empty spray bottle. Shake the bottle to thoroughly combine the ingredients. Spray the mixture generously onto cotton balls. Place the cotton balls in areas where you have seen ants. Spray the mixture directly onto the floor, countertop or wherever the ants are visible if you prefer. Use caution when spraying the solution onto surfaces. Although boric acid is less toxic than many commercial bug killers, it is still harmful if swallowed or ingested in large doses. Clean the surfaces thoroughly after using boric acid. Combine 2 tbsp. of powdered boric acid and 3 cups of water into an empty spray bottle. Shake the bottle vigorously to thoroughly mix the ingredients. 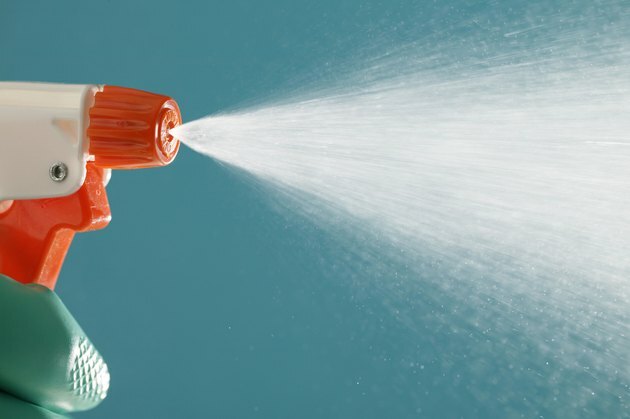 Spray the mixture directly onto windows or glass. Use a dry paper towel to wipe the boric acid mixture from the surface. Dissolve ½ cup boric acid powder into a spray bottle with 2 cups of hot water. Shake the bottle to thoroughly combine the ingredients. Spray the mixture directly onto mildew-stained fabric. Spray a generous amount of the mixture and allow it to soak into the fabric for several hours or until the mildew stain is gone. Rinse the fabric with plain water to remove any residue from the boric acid solution. Dissolve 10 oz. of powdered boric acid into ½ cup warm water in a large bucket. Stir the mixture well until all of the boric acid powder has dissolved. Add 2 ½ gallons of water to the mixture. This will dilute the mixture appropriately. Transfer the mixture to an empty spray bottle or a garden sprayer using a funnel. Apply the mixture to areas of the yard where there is a weed problem. Try to apply the mixture when no rain is expected for at least 48 hours. Only apply this mixture once a year for two consecutive years.